In today’s society, we constantly hear concerns about the environment and how we need to implement changes to make a positive impact upon its future. It is nearly impossible to pay attention to any media without feeling bombarded by messages of conservationism. “Go Green!” “Green… it’s the new black.” “Reduce, Reuse, Recycle.” However, are these sentiments new? Think about it. “Give a Hoot… Don’t Pollute.” “Keep America Beautiful.” “Keep Our Forests Green.” The use, or abuse, of our natural resources has long been an issue debated by our nation. It has more or less been the price we have had to pay for progress; but regardless of one’s political views and beliefs, the fact that Earth is the only planet that will sustain human lives is a hard fact to deny. It is therefore critical that all of promote principles of conservationism for our future generations. The practice of reducing, reusing, and recycling may be easily incorporated into many aspects of your everyday lives. As YOU reduce, reuse, and recycle in your daily lives, you will be teaching by example your own children at home. Knowing that youth learn by seeing and doing, they will be much more likely to implement the practices of reducing, reusing and recycling into their own daily lives if they see you practicing the 3 R’s in yours. How does the Environmental Protection Agency describe each of the 3 R’s? 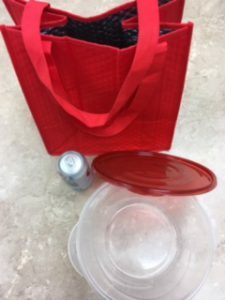 Reduce the amount and toxicity of trash you throw away. One way is to turn off or unplug lights during the day. Doing so will save energy and help your lights last longer. Use food scraps, yard trimmings, and other organic wastes to create a compost pile. Adding the compost you make to soil increases water retention, decreases erosion, and keeps organic materials out of landfills. Reuse containers and products. There are many creative ways to reuse items, which might normally find their way into the waste stream: old shoeboxes may be used for storage, plastic containers for planters, etc. You can also donate or give away items rather than throwing these items away. For a large number of unwanted items, you can hold a garage sale. It is also encouraged to shop at garage sales before buying new! By instilling the importance of the 3 R’s into today’s society we will be helping clean the planet for the future. After all, “A true conservationist is a man who knows that the world is not given by his fathers but borrowed from his children.” As quoted by John James Audubon. Our state 4-H service project theme for next year is the environment. Why not consider planning a club, county or district service learning project in honor of Earth Day? Fred and Bobby teaching a group of 4-Hers about goats. Fred and Bobbie Golden relocated to Jefferson County from Lakeland, Florida in 2000 to establish Golden Acres Ranch LLC. 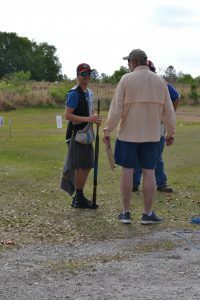 The sixty-three-acre ranch is home to one of the largest mayhaw ponds in the region, grass fed goat & sheep, free-range chickens, guineas, pet boarding, and a country store. Bobbie and Fred have genuine love for Jefferson County 4-Hers. Can you tell the difference between a sheep and a goat? Jefferson County 4-H campers can! For the past six years, 5-8 year old youth visited their ranch during 4-H day camps for some hands-on learning about agriculture. 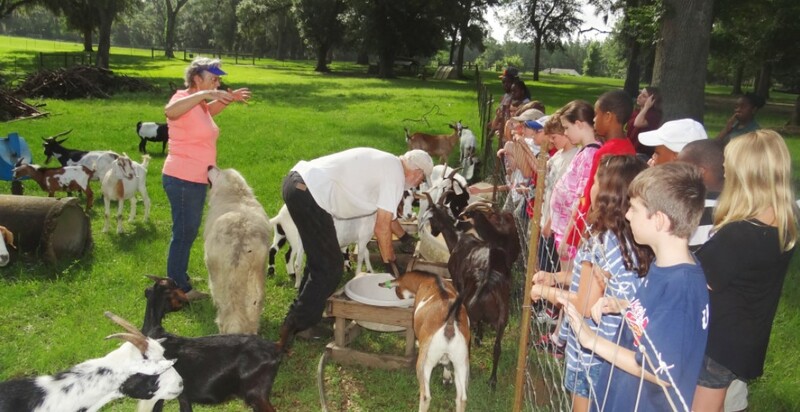 The campers have opportunities to feed, pet and learn important facts about Tennessee Fainting Goats, sheep, Pyrenees and Maremma, chicken, guineas and other animals reared on the farm. 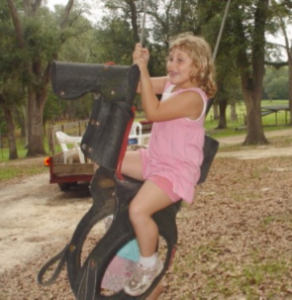 Abagail Loveless, day camp participant said, “the reasons I like to visit Golden Acers Ranch, you get to feed, pet, learn things about the farm animals and swing on the tire/rope. 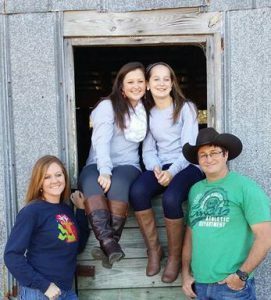 “London Skipworth indicated that she was afraid of chickens, but with help and support from teen counselors and 4-H Staff, she was able to overcome her fears. London now plans to participate in the 4-H Chick Chain Project this year. Bobbie is a member of the Jefferson County Extension Ag Advisory and Vice President of the Overall Extension Advisory Committee. Bobbie also chaired the Extension Office open house committee. 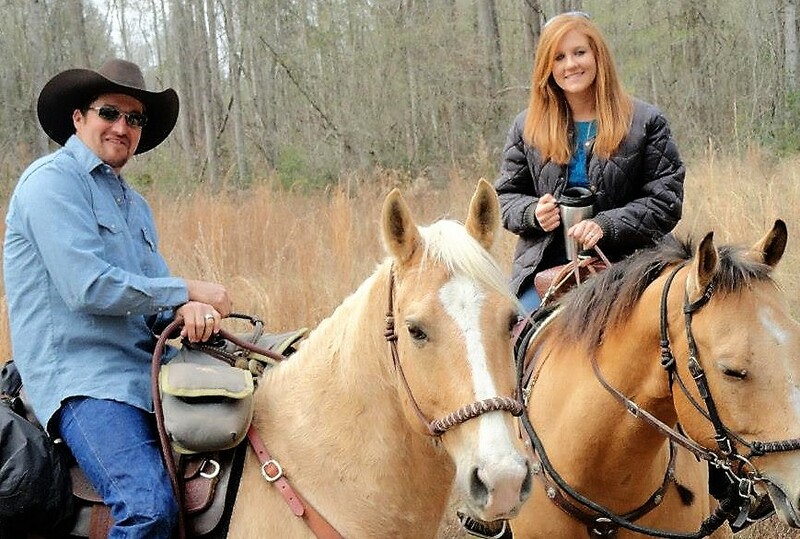 Bobbie and Fred support Jefferson County Extension in every capacity. Annually, Jefferson County Extension participates in the Millstone Farm Tour and the Mayhaw Festival; both held events at Golden Acers Ranch. Each Extension program area provides interactive displays and hands activities for the youth and adults. For more information about Golden Acres Ranch, please go to https://goldenacresranchflorida.com/. 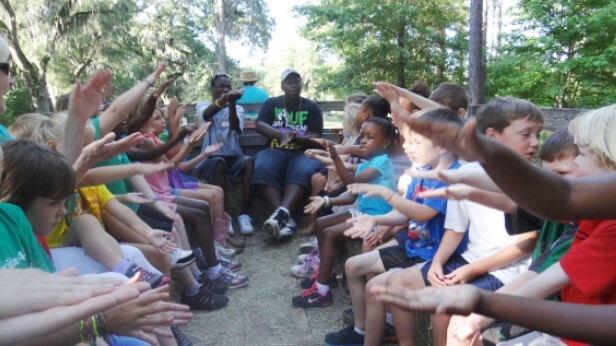 Campers leading songs on a hay ride around the farm. 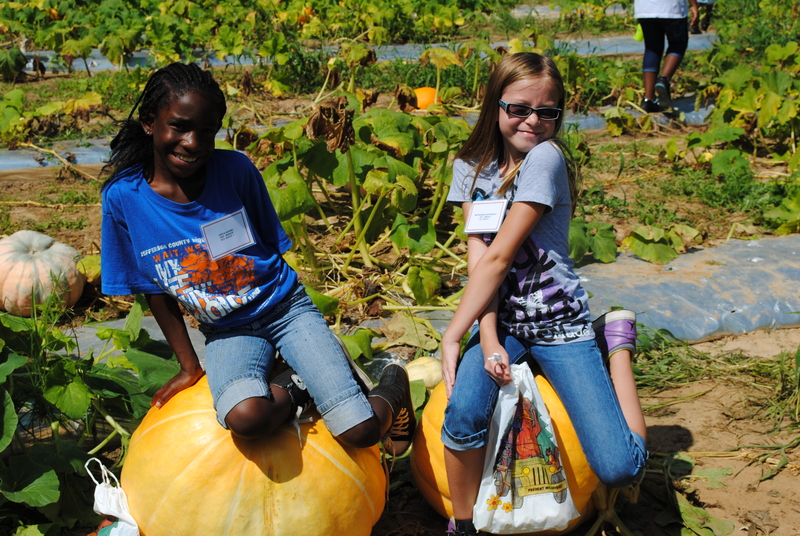 Youth learn about pollination and nutrition at the pumpkin station. The center grows several varieties to demonstrate the diversity of the plant family. What has 1600 eyes, 1600 legs, can be male or female, and has enough energy collectively to send a rocket to the moon? 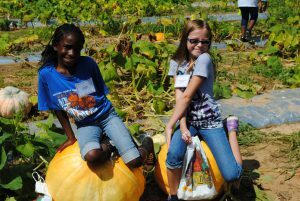 The 3rd – 5th graders that participate in the multi-county 4-H Ag Adventures Program! 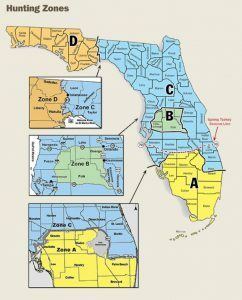 This educational adventure is held annually during September at the UF/IFAS North Florida Research and Education Center in Quincy, Florida. This event helps youth understand where their food comes from, the importance of agricultural industry in Florida, and career opportunities in agriculture related fields. Students are introduced to field crops as they rotate through stations that cover peanuts, corn, cotton, pollination, pumpkins, and soils. 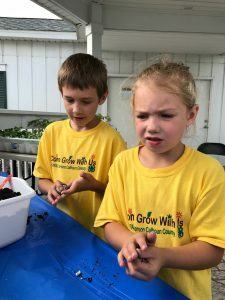 At each station county extension agents and IFAS research faculty provide “hands on” presentations that are prepared to enhance the students learning experience. In addition, this event is a platform for youth to learn the current trends, issues and challenges farmers face as they continue to try to feed our increasing population. Some of these trends and challenges include food safety and bio-security, farm labor, bio-security, land use, pest and disease control, and the use of technology in agriculture. This issues encompass all four of the “H’s” in 4-H: Head, Heart, Hands, and Health. 3. Agriculture research needs young brain power. Ag Agent Jed Dillard teaching youth about cotton. Do you know how many pairs of jeans you can make out of a bale of cotton? 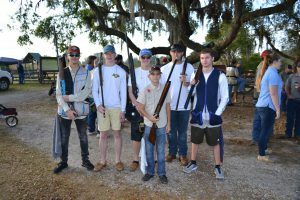 This program is sponsored by UF/IFAS, it is also supported by both Florida Farm Bureau and Farm Credit of Northwest Florida. These organizations not only provide funding to help pay for the transportation for students to attend, but they also provide corporate volunteers to help make the event happen. If your child’s classroom missed out on this opportunity, it’s not too late. The North Florida Research and Education Center in Quincy is hosting “Art in the Garden” festival Saturday, October 1st from 9AM -2PM. The event is FREE and open to the public. 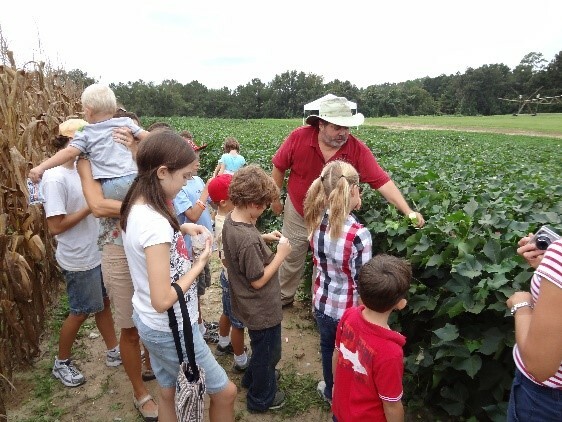 This event is a great way to learn about agriculture in a fun and family friendly way. There will be trolley tours, demonstrations, games, arts and crafts and food. In the near future the students that pass through our stations will grow into the adults that will be making important decisions about our food systems. It is in that spirit that we must continue to teach them ….from the ground up. Visit http://faitc.org/kids for more information on careers in agriculture. If you have a passion or agriculture, consider serving as a 4-H volunteer or advocate to help inspire the next generation. 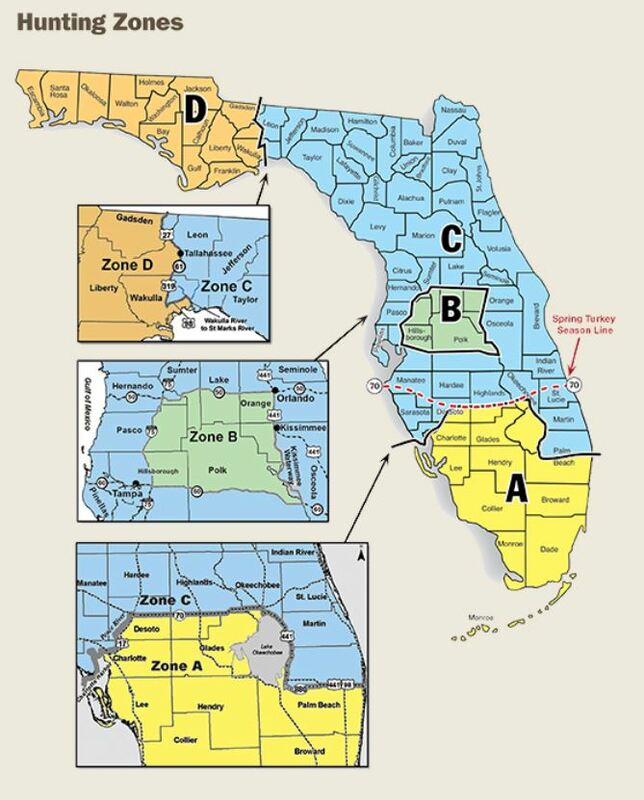 Contact your local UF IFAS County Extension Office or visit http://florida4h.org.